What’s known is that it costs a lot more to acquire a new customer for your business or service, than it does keeping your most loyal ones. 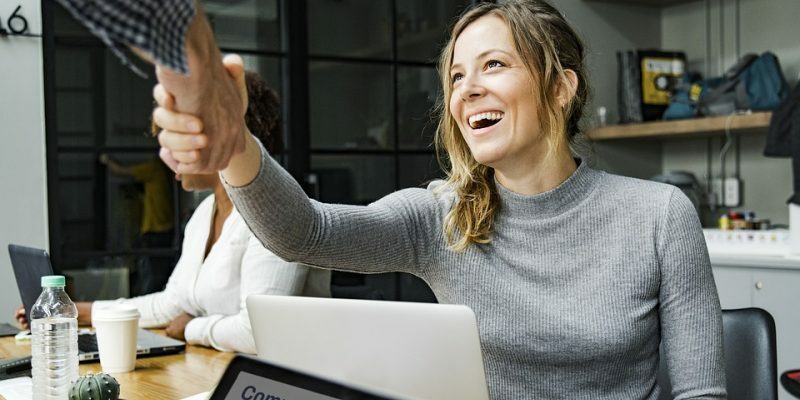 For this reason alone, the best way of becoming more profitable by lowering costs, is by keeping your most loyal customers by they continuing to patronize you. What this leads to, is learning better relationship marketing. In this world of instant gratification that we now live in, it’s known that these once “regular” customers, are no longer as loyal as they once were. At one time, these customers searched you out, and then remained with you for years or even decades. But today, consumers are becoming increasingly fickle and distracted, and are more than likely to become easily tempted by your competition. Reasons being that their offer or product may be a tad better, such as a lower price, better selection, or they may have superior seductive marketing. So the art of customer retention, has now become more of a method and necessity. It’s developed into a scientific technique more than its ever been. Everyone in business, now needs to adapt just to keep competitive. Since the cost of customer acquisition, and then keeping them is so high, there are a few methods which has proven over time, that needs to be applied. What you’ll often see, are certain businesses who’ll give their first time customers a discount for purchasing. This as a hook or “lost leader” to get them through their door, so they’ll hopefully buy their product or service. According to relationship marketing experts however, this is the wrong way of approaching discounts. What businesses should be doing instead, is offering these reward loyalty programs to their existing customers instead. These are those who happens to return back to your business time and time again. Appreciate them, by offering them some type of discount, each and every time they purchase your product. Over time, by you rewarding their loyalty, it makes it difficult for them to make the shift to your competitor, making it look like an unnecessary choice for them. You’re giving them absolutely no reason for them to leave you, if you’re giving them a 20% discount just for they returning back. It’s recommended that should not only be compiling a mailing list, but you should also be categorizing them into two different groups. The first list should be your prospects, those who have in the past expressed interest that they may buy from you. The second list is your current customers, those who have bought from you in the past. You should be lavishing attention to both lists, especially your existing customers, by making sure that you lay on the charm, to those who’s purchased from you more than once. They will greatly appreciate it. What you want, is to keep in contact with these regular customers as often as possible, by always knowing what their needs are, and what they might want from you. The most effective way of keeping in direct contact with them, is by email. The key is always doing so without ever going overboard or becoming annoying, such as attempting to sell them more stuff. Send your most cherished customers birthday and Christmas cards. Invite them to the occasional lunch or company barbecues. Just make sure that you use avenues that you know your competitors are neglecting. If your service happens to be a product that your customer needs on regular intervals, or at certain times of the year, make sure that you keep track of this, and then send them something personal at that time. There’s nothing worse than losing out on a prospect or a customer, because you’ve somehow neglected them, or misplaced their contact information. Spend the time that’s needed, to make sure you remain on their minds and not your competitors. One great way, is sending your email list a weekly or a monthly newsletter. Take a few hours each week, to offer relevant useful information regarding your industry that your customers would find useful, and worth reading or sharing. Make sure that you always place your logo and contact information, on all the material that you send out, so they’ll be reminded of who you are once they see it. Also make sure that you keep this information updated, and archived on your site in a form of a blog, so that it can be easily accessed by those searching for related information. One chore that you want to do, is phone or email your customer base and request feedback or testimonials from them, after they’ve purchased from you. Just make sure that they were satisfied, with whatever it was you provided. Offer to resolve anything that they’re not satisfied with, by asking them if they can think of ways that you could improve. Customers always appreciate this and enjoy offering their input, and where you’ll often get the best suggestions. Make sure that you always go that extra mile, to make all of your customers feel like they’re your best “business” friend, and not just another tracking number that’s in your database. What customers will always appreciate at all times, is something as simple as a personalized “Thank You” note, this once you’ve earned their business and received payment. To make it even more personal, you could hand write it out.